It happened one week ago. After the swim, I never would believe I could win this thing. The water was very cold and I lost the big pack and was swimming alone. Twenty minutes behind and in 18th position I started my bike-leg. As my main goal was to run a fast marathon to prove myself I still could do that, I was cycling conservative and saved energy. So in fact I am pretty surprised I rode the fastest bike-split as well. But ok, in 6th position I started the run, although still 17 minutes behind the leader. Immediately I had a nice rythm, unfortunately I had to make 2 pit-stops in the first loop to get rid of some "overweight" which was hindering me. After that the entire run felt great and I passed a couple of other ladies. At about 35km I passed Leanda and found myself in the leading position of an Ironman for the first time in my life. Of course my feet were burning and my legs were hurting, but if you are running towards a victory that doesn't matter. I really enjoyed the last part towards the finishline. This was one of my career main-goals and I have that in my pocket now! 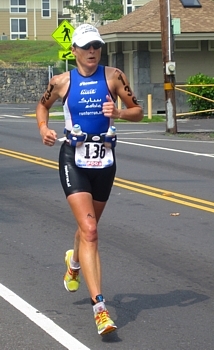 And I will be racing IM Hawaii in 2009. I still enjoy the nice feeling and want to thank everybody who cheered for me or send me their congrats after the race. I never could have reached this alone. Of course I want to thank Rob for his support, as I could not have done this without him. Also many thanks to all my sponsors. And maybe I have to thank Sir Isaac Newton himself as well. As I am racing an Isaac Aerotic bike and fast Newton running shoes, both companies inspired by him have been very helpful to me. During my speech at the awards ceremony I joked that it is a pity that Isaac Newton couldn't swim. Next to those 2 sponsors, I have to thank my main-sponsor SABIC, my car-sponsor Hertz, Newline for sports-apparel, Born Sportscare, Ron for Run, Xentis wheels, Schwalbe tires, Sailfish wetsuits and Toma Cycles for preparing my bike. I am so happy today to win my first Ironman in my 9th attempt in an IM-race and my 13th full distance race. I had such an odd season with injuries first, winning my first full distance race in Almere 12 weeks ago and having an offday on Hawaii only 6 weeks ago. Later this week I will try to do some more translation of my experiences to English and add some photos as well. We are very happy that we can announce that the fundraising for the Lornah Kiplagat Foundation in the last 3 months has resulted in 4000 Euro for the important charity projects they do in Kenia. Around my races during the months August till October I have paid attention to this charity foundation and with a lot of contributions from individuals and companies we were able to reach this goal. If you want to read more about this you can do so on the Projects page of my website. We will hand over the the 4000 Euro to the Foundation soon. Then there is more news, especially about racing: On November 23rd I will be racing in Ironman Arizona. Don't think this is just a desperate act after my dissapointing race in Kona, because in fact it is the start of a new approach for my winter-season. It is quite common to end your season in Kona, take a few weeks off and start to build fitness again in some long winter-training periods. I have done this several times myself as well. But before Kona, Rob and I have evaluated a few things and decided to try another approach. I don't need a long time off mentally, because training and racing is what I love to do. Our one-week holiday on Maui (without bike!) is enough for me to be ready for new things. Since I am not the very talented girl in this sport, I usually need a lot of training time before being back at a certain level after longer recovery. So this winter I want to try doing a race now and then and just stay fit by several shorter recovery periods. This also gives me the opportunity to build more race-experience on the Ironman distance (Arizona will probably not the only one I'd like to do). Let's see where this approach brings me, at least I am excited to try it in this way and looking forward to a nice warm stay in the USA per next week. Yep, just a dissapointing race yesterday. No excuses, and to be honest I don't have any good reason either. It just wasn't good and fast enough. Only about the swim I can be satisfied. Ok, there was my usual gap towards the lead, but instead of 20 minutes on the first woman 2 years ago, it only was 15 minutes now. But my cycling was bad, I felt like having no power in my legs. And with the wi ndy conditions out there it only feels worse on a day like yesterday. I also had big troubles to keep my bike on the road with the heavy sidewinds. But all girls do face that and usually I like tough conditions, so I definitely don't want to use that as an excuse. My bike-time was a lot slower than I had expected to be able to in this field and it cost me a lot of energy which I lacked on the first half of the run. So also that went quite bad. Just the second half was a little bit better but still far from usual marathon pace. With a 24th position within the PRO division and a 29th overall I am totally not satisfied. It was a battle for more of us, I saw more competitors who started the race with other visions than it ended up. If you still can place 24th of a field of 58 PRO woman with a bad race that speaks for itself. Some of them were standing along the course and quit. That is the only positive thing about today: I pursued to finish my 2nd IM Hawaii, since I thought well I did not come all the way to Kona and just quit this race. Now I will first celebrate a one-week holiday here and think things over. After that we will see further. The dissapointing feeling will surely remain for some time, since it is only for the first time in years that a peak-race went this bad without any reason. By the way, Dutchies Yvonne (2nd overall) and Irene (top 5 agegrouper) did a very good job. And Chrissie, even with her lost 10 minutes for changing a flat tire, she is from another planet, what a performance was that! Almost 3 weeks before race-day we did arrive in Kona, just as we did 2 years ago during my first Ironman adventure on the Big Island. I feel very comfortable with that, as I have time enough to overcome a jetlag of 12 hours and get used to the warm and humid climate over here, and then still have some days left for some last hard training sessions in the specific race conditions. I really like it to be back here for my second time and do enjoy the atmosphere in Kona very much. The long rides are so different from anywhere else that it is no punishment for me to do the same ride along the Queen K highway for several times. This year I am doing that on my Xentis TT time trial wheels, I love them, especially their speed :-), but now they also seem to be very strong. 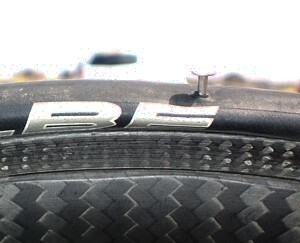 Last week I had a puncture by a stupid nail, but it was even pushed vertically into the carbon rim! Rob and I managed to pull it out without damaging the wheel any further and luckily the wheel is still doing a wonderful job without any problems. Iron-tough wheels they are! Training goes very well. The first part of last important sessions is done and I am satisfied with the results. Yesterday was a recovery day, but in the week before I have done about 650 kilometer of cycling, ca 20 km of swimming and 90 km of running. The long run to Energy Lab (which is the turning point during the run) was tough, mostly because of the heat, but did help me a lot to adapt to the climate here. We also swam the full swimming loop today and of course I have been to Hawi (bike turning point) as well. Which means that I have seen the whole course again. Next week I will do less, but some speed intervals as a final preparation. And of course a few days of resting and easy training sessions just to stay tuned. I am excited to race here again and hope to be able to give my best on October 11th. There is not much more I can do, we'll see to which result that will bring me. Winning Almere is great! We just decided to do this race 4 weeks ago as a nice training towards Hawaii. And another goal was to gain some attention for the charity project for the Lornah Kiplagat Foundation around this race. 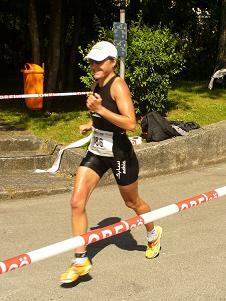 I am very happy that I succeeded in both goals and even was able to win the race while racing at lower intensity! The weather was great and I was amazed by my bike leg of 4.51 at a moderate heart rate, which is even 2 minutes faster than last year when I was racing at maximum effort. While being in the lead quite early in the marathon, I slowed down a little bit more and only enjoyed the crowds which were cheering a lot. I hope to recover soon and get back into training for Kona. It was also a good day for the Lornah Kiplagat Foundation since as a first intermediate result we can mention more than 1000 Euro already. But we hope for much more in coming weeks of course! We just went a few days to Austria to race in a nice competition in the fresh air of the Alps. 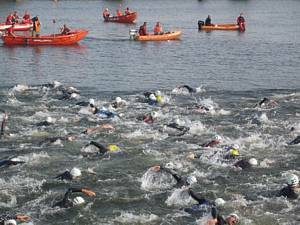 The Powerman race in Weyer was on my list for some time already, and finally this year it did suit into my planning. I can say now it is a very nice race indeed, with a lot of atmosphere, very well organized and a lovely course. We have been hosted very well by our friendly guest-family just a few minutes from the start. On Friday we did check out the race-course and the bike course has a challenging climb of about 5 km which has to be done twice. My goal was to race as good as during the World Champs 2 weeks ago or maybe a little bit better. Since I did recover quite well and also could do some nice training sessions last week I expected that to be possible and to be honest I was actually hoping for a podium or even the victory. Unfortunately I lacked some power today and that is exactly something you need during a Powerman. The first run wasn't better than during the WC, but wasn't bad as well so with the bike leg still to come this did not seem any problem to me. But pushing on the bike did not go as I am used to either, I think I have underestimated the hills in my preparation and I blew-up my legs quite early. I probably cycled at a too low cadence as well and after that I never got back into a better rythm. I passed some of the girls, but the difference to the podium-competitors stayed equal. My second run in the contrary went quite well. When a distance is long enough I finally will find my rythm. But it was too late and I found myself on only 20 seconds from third place at the finishline. In the end it appears to be a race with a moderate result, which I think is a little bit disappointing for me. Tomorrow we will drive home and then I will continue training towards Hawaii. At least I know there is still some work to do, but there is some time left and I defenitely will enjoy the next step, which is a full IM distance race in Almere next Saturday (but I will only participate for training, NOT for racing). I am very happy with this result! The last 2 months were not my best of this season and I only was hoping on a good solid race to prove myself that I was improving and a top-10 would be a reasonable result, I thought. But it went very well, I just was losing a few minutes on the running-specialists and with the fastest bike split of the day I worked myself back into the race from 12th position after the first run to the duel about the bronze medal during the second run. I lost that spot to former World Champ Ulrike Schwalbe, who is just a better runner on these shorter distances (yes, everything shorter than a marathon appears short to me...). Mariska Kramer did even better today, she has such a wonderful season and took home the silver medal. Always watch out for Dutch woman when it comes to the long distance! 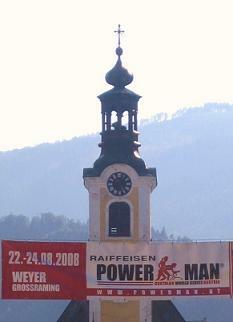 If my recovery is well enough, I will start in another duathlon race within 2 weeks: the Powerman race in Austrian Weyer. I hope these races will help me in my preparation for Hawaii, which still remains the main goal of the season. Still (or only) 9 weeks to go, I am getting excited already. By the way, it was my first long distance race on my new Isaac Joule Aerotic with a disc rearwheel and the fast Xentis Mark 1 TT in the front. It felt like flying on some parts of the windy course yesterday. 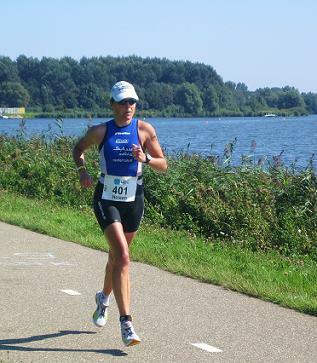 Having the Dutch Championships Long Distance Triathlon in your own home-town, being sponsored by my own main sponsor SABIC, is such a nice opportunity to show yourself to close supporters and give them a nice performance. Last year I did succeed in that by improving the course record in Stein, but yesterday was a disaster. On forehand I had to make the decision to peak towards the Ironman Lanzarote, since that are the kind of races with international competition on my favourite distance. But I had hoped that 4 weeks of recovery and training would be still enough to be in shape for Stein as well. It didn't work out, I was far from my usual peak-shape. I didn't have the energy and power and also felt weak mentally (something almost never happens to me). My swim was the worst in years and however I am used to start the bike-leg from behind, this time I had the feeling I was riding like a tourist. I decided to quit halfway the bike-leg and save a few extra weeks of recovery. There will follow some nice races in the rest of this season and I'd like to work on a lot of things to regain top-fitness again and be sharp in my next peak-races. A few words about the race itself: I am very happy for my friend Mariska Kramer that she could show her long distance capability without any of the problems she did face the last few years and grabbed her first National Triathlon Champ-title. 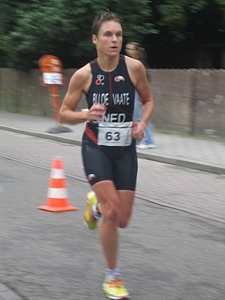 Also the performance of Mirjam Weerd, just a rookie in the sport but showing fast improvement, was of suberbe class. 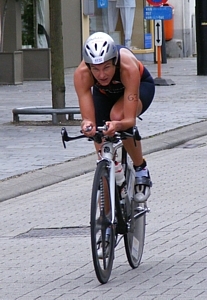 She will will compete in Kona next October for her first full Ironman distance. I have good news to mention, because I'm back into racing again. Today I did my first triathlon of this season, the "Volcano Triathlon" on Lanzarote, an Olympic distance race which is a good preparation race 3 weeks before the Ironman on this windy island. My performance as such was not very good, but the most important thing is that I was able to finish this race while feeling well on all 3 parts of it, just 11 weeks after being double injured by 2 stress-fractures. I did a lot of cycling in the past weeks, but couldn't swim and run for several weeks. But since my recovery went very fast, we decided to still go for the Ironman Lanzarote, only with a very different preparation approach than I ever did in the past. We'll see where this is leading to, the only thing I know is that I can (and have to!) make some more progress in coming 3 weeks by training hard first, followed by a good taper-phase towards D-day. Luckily I don't have to worry about qualifying for Kona and can just take the day as it comes and race freely. About the race today: my endurance level is quite ok, but I am still not fast. Two hours and twenty minutes is just a short race for me, I love the Ironman more. I also felt that I need some time to get used to the climate over here (just arrived Tuesday), but 3 more weeks on the island will be fairly enough. Tomorrow we will make an 8-hour long ride and on Monday I can recover. Everything went so well, but then you have to bring this bad news. I had a good preparation-camp on Lanzarote, had a good week of rest and started training again. Then all of a sudden I had 2 injuries within a few days: 2 stress-fractures, one in my rib and one in my foot. I can't swim and run now for some weeks and have to be very careful with weights-training and cycling. I know I am sensitive towards this type of injury (I've had 2 more in the past), but this was typically not the moment I expected them since I was just working on my basis and intensities were not that high yet. 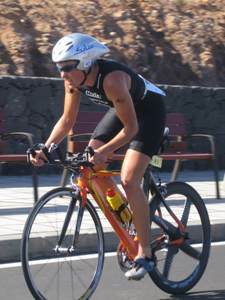 I just did a lot of cycling on Lanzarote, but running and swimming were still moderate. Call it bad luck. Since last weekend I am back in The Netherlands after a 2 ½ weeks of trainingcamp on Lanzarote. In nice weather I could do quite some work on the bike in the lower hartrate zones. I also did some long runs with Mariska Kramer and we have trained in the swimming pool, weights-room and on the track of Club La Santa. The bike test I did this morning after one recovery-week at home gave me a lot of self-confidence: My basis is good and I have a lot of strength in my legs. The only thing is that it is not visible in competitions yet, since I have still a lot of work to do for improvement at higher intensities. But this shows me that a lot is possible if I can continue to build on this basis in the next few periods. And we still have time, because my first important races will be Horst and Lanzarote and they are scheduled not before April and May. I am on the right track, that counts. The other good news is the nice car which is shown on the pictures here. Thanks to well-known rental-car multinational Hertz I have a lot of freedom in my transportation now. Of course I am very happy with this new sponsor, since I can go for example every morning to the swimming-pools in Valkenburg or Sittard by car to train with the other guys and girls of the National Training Centre here in Limburg. By the way, Hertz is also the supplier of all company-cars of my main sponsor SABIC. I am very grateful to both sponsors for their support to my topsport career and of course they deserve all attention by their logos on the car! After two cross-country races in Holland in the last weekends, the duathlon on the Canarian Island Lanzarote was the third race in a row to start this new year. On Tuesday we arrived at our usual nice-weather training location here in Lanzarote, where I am training with my good friend Mariska Kramer again. We decided to join this sprint distance, allthough these kind of short distances are really not my favourite. The race took place around the Club La Santa training centre. When we did arrive this morning, it turned out to be a drafting race and I had to remove my aerobars. Our competitors were world-class, since former Duathlon World Champions Yvonne van Vlerken en Erika Csomor were participating as well. Mariska did have the speed to join these girls in the first run and they grouped together on the bike. I couldn't handle their running speed and found myself quite lonely on the bike, fighting the strong winds which usually blow here. Yvonne took the lead in the descent to La Santa and defended a 1 min. gap up to the finish on Erika and Mariska. They sprinted for 2nd and Mariska won by 1 cm! In the mens race, Joeri Vansteelant won quite easily. The gap between my fourth place and the podium was quite large and shows me once again that I have to keep on working on my speed. The good part of this is that it motivates me to train hard in the next few weeks here to prepare myself a good basis for the rest of the season. Just before a new season starts, we were on a short holiday in Norway last week. 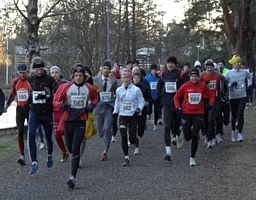 And although it was a week with a lot of relaxing and very little training, we found a sylvester-run on the last day of 2007: the Tonsberglopet. It was a nice run of 12 km, but we were astonished by the 22 Euros we had to pay for a competition without any award ceremony or prize-money at all! In The Netherlands this is unbelievable and next year you would find nobody back at the startline. But ok, Norwegians also pay 6 Euros for a hot chocolate, so maybe they are used to this prize-level. Looking forward to a new season now: My main goals will be Ironman Lanzarote in May and Ironman Hawaii in October. I probably will do some more short races this year to try to improve my speed. Next to that, I will start as well at the Powerman in Horst quite near to my home. Last but not least the question rises about my home-race: SABIC Triathlon Stein. I really would like to participate for the 8th time in a row, but I also know from experience that doing this race just a few weeks after IM Lanzarote is not the best combination. Well, lets see in June if I can manage myself in shape. First, there are some months of Lanzarote preparation, partly on this particular island and partly at home in Holland. Have a wonderful year, regards, Heleen.